Even if an open casket doesn’t figure into your funeral plans, the outfit you decide to bury or cremate a loved one in is an important decision to make. Over time, the clothes will decay or be incinerated in the same way that the body will be, but this loving gesture is one of the last you’ll make regarding the deceased’s physical remains. The majority of people choose to have a loved one buried in a favorite outfit or uniform. Military clothes, professional formal wear, Sunday best, or a team jersey are all among the most popular options—and with good reason. Not only will these items already fit the deceased’s body, but they usually carry some kind of personal association. It is often helpful for mourners to think of the deceased moving on in an outfit that brought them joy or comfort during their lifetime. The drawback to this, of course, is that once these clothes are buried, you won’t see them again. The same is true of any accessories or jewelry you choose to have buried with the deceased. Hats, watches, wedding rings, heirloom jewels, even a stuffed animal or book that meant a lot to the deceased—these things may mean more above ground than below it. Rather than bury the deceased in his or her own clothes, some people opt to purchase an item specifically for burial. In fact, specialty burial clothes exist for this purpose. Similar to luxury nightgowns, these simple garments are designed to give an impression of lengthy rest (and are also customized to make it easier for funeral homes to dress and undress your loved one). Another option is to purchase a regular outfit from a store and have the deceased buried in that. 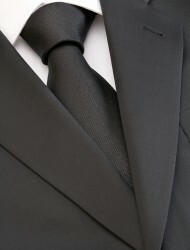 The advantage is that there is rarely a personal connection to the clothes, so it can be easier to part with the attire. The disadvantage is the cost and the fact that shopping for someone who has died is often overwhelming to the newly bereaved. If you have any questions or concerns about which outfit or option is right for you, be sure and talk to your funeral director. These professionals have years of experience helping guide families in making the right choice for their unique situation. Burial clothes aren’t the most important funeral decision you’ll make as you plan a funeral, but it is a question that will arise and is worth consideration. No detail is too small or has the potential to cause grief when you’re facing a catastrophic loss.